Edmonton First Aid has been offering trainees high quality Alberta occupational health and safety approved first aid and CPR courses for the cheapest rates in Edmonton since 2010. Learn to manage cardiac arrest, unconsciousness, burns, seizures, broken bones, angina, choking and other serious medical emergencies by enrolling in either standard, childcare or emergency first aid. All courses provide successful participants with OH&S approved certificates that meet workplace requirements and are valid for 3 years. Registration for any course can be completed at any time on-line or participants can call in (use the contact information found below). No other provider in Edmonton offers lower prices, more experienced instructors and convenient locations for first aid certification programs. Click here to visit the Edmonton First Aid website for a full list of available classes, rates, and schedules. Trainees can complete their registration by filling out the registration form below or on the Edmonton First Aid website. For additional information, you can reach Edmonton First Aid’s website with the following details. This training facility is located just south of Whyte Avenue nearby the Hospital and university. Parking and access to transit are available. This facility is open 7 days a week with courses offered as late as 5 pm. 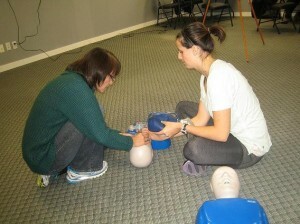 Edmonton First Aid has the largest selection of available training courses. Three main courses are available for participants that work in Edmonton. The most popular course is standard first aid which meets OH&S requirements and comes standard with CPR level “C” (CPR for adult, child and pediatric patients) but participants may opt for level’s “A” or “HCP” to partner with the course. This is a two-day course. Re-certification training is available for participants with current SFA awards. Re-certification takes 8 hours to complete and cost half as much as the full course. Emergency first aid is a one day course that requires 8 hours to complete. This course comes either with CPR level “A”, “C” or “HCP”. This course also meets workplace requirements for many individuals. Re-certifications are not available for this course. Standard childcare first aid is a course that many individuals that work in the childcare or daycare industry may be required to take. This course provides participants with OH&S approved certification and adds additional components such as fever’s, child birth and shaking baby syndrome to the curriculum. This is a two day course that is very similar to standard first aid. 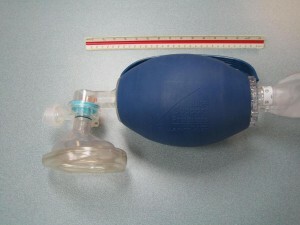 CPR level “C” comes standard with this program. Re-certifications are available for this course. Groups, businesses and companies may opt for private courses which may be lower in price and more convenient. 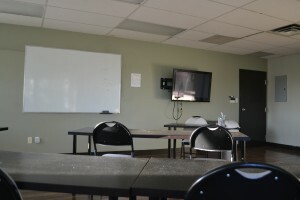 Private programs may be held at the Edmonton First Aid training centre in Old Strathcona or a trained instructors can come to your facility if space requirements are met. Contact this provider via email at info@firstaidcourses.ca to inquire about a private course. Workplace Approved certification is quick and hassle-free. Workplace approved (OH&S approved) training certificates are awarded to trainees who are able to complete a training program. The certificate is valid for three years throughout Canada and will meet whatever purpose the trainee needs it for. Full refunds are entitled to trainees who drop out, provided a 72-hour notice is given beforehand. Who Is Required to Have First Aid Training? The following employment types may be required to have first aid certification. This list is a sample of employees that may be required to have certification in first aid. All registration can be completed using the contact information provided above. Classes are held in high-end training facilities throughout Edmonton. Edmonton First Aid training facilities are easily accessible, within walking distance to public transportation, free parking, and restaurants. The classrooms are spacious and well-maintained, outfitted with the latest training equipment. The Achilles tendon is a very important part of the body. It connects the calf muscles to the heel bone, making it possible for us to walk. The tendon allows the foot to point downward and to push off the ground, two important steps when walking. The most common location of rupture in the tendon is 2.5 inches from where it attaches to the heel bone. This part of the tendon gets the least blood flow, making it harder to heal. Ruptures are typically found in athletes because of the intensity and stress placed on the muscles.